I was watching the TV just to hear the total number of Black 500/1000 notes were demonetised. But the PM was all talking about the white deposited in the banks. Who will call depositing in the bank or exchanging the old with new as demonetization? What is not come out is the demonetised currency. If our digital technology is efficient, it could have been calculated very easily. RBI should know the total number of old currency in circulation. The banks must know how much is returned. The balance would be the really demonetised notes subject to adjustment later changed through the RBI up to March. This should be the net benefit if any out of this drama. This is what is to be revealed. People depositing or changing money at gun point, making serpentine lines cannot be considered as an achievement. The new Pradhan Mantri Garib Kalyan Deposit Scheme, 2016 which comes into force from the 17th day of December, 2016 is literally an admission of the Government of its failure on the Currency Demonetisation. The Scheme will be valid till 31st day of March, 2017. Definitely it is an attempt to save those VVIPs who hoard black money even now. How many such Black Money Schemes are yet to come? Definitely many more “ACHE DIN” schemes are yet to come. 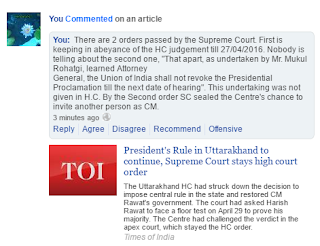 (Please refer Chapter 4 of my book “A FRAUD IN THE INDIAN CONSTITUTION”. 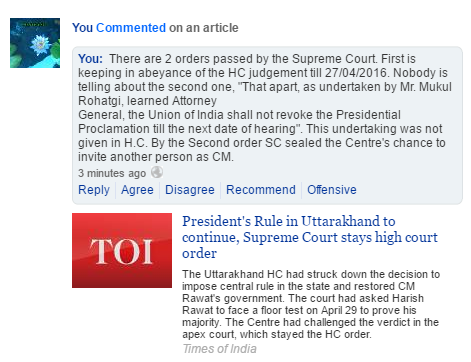 For details, go to link:- https://www.facebook.com/afraudintheindianconstitution/ ). Under the scheme, deposit is to be made in the form of cash or draft or cheque or by electronic transfer and shall be drawn in favour of the authorised bank accepting such deposit. But there is no mention whether the term “CASH” include the recently demonetised currencies which are accepted by the Banks till 31/12/2016. If it includes, clearly it is a ‘scam scheme’ tailor made for the biggie scam masters to offload their black money without making a queue under the scorching sun as the many ordinary poor people stood in the queue to change their meagre amount demonetised because of these black money masters. Even if “CASH” does not include demonetised currency, still it is a bonanza for the black money masters. They could easily transfer their white money into these accounts and replace it with the declared black money under the scheme. And the general public will become fools as usual – standing in queue below the fiery sun for hours and days. 1. Short title, commencement and application.— (1) This Scheme may be called the Pradhan Mantri Garib Kalyan Deposit Scheme, 2016. (2) It shall come into force from the 17th day of December, 2016 and shall be valid till 31st day of March, 2017. (3) This Scheme shall be applicable to every declarant under the Taxation and Investment Regime for Pradhan Mantri Garib Kalyan Yojana, 2016. 2. Eligibility for Deposits.— The deposit under this Scheme shall be made by any person who intends to declare undisclosed income under sub-section (1) of section 199C of the Taxation and Investment Regime for Pradhan Mantri Garib Kalyan Yojana, 2016. 3. Form of the deposits.— (1) The deposits shall be held at the credit of the declarant in Bonds Ledger Account maintained with Reserve Bank of India. (2) A certificate of holding the deposit shall be issued to declarant in Form I. (3)The Reserve Bank of India shall transfer the deposit received under this Scheme into the designated Reserve Fund in the Public account of the Government of India. 4. Subscription and Mode of investment in the Bonds Ledger Account.— (1) The deposits shall be accepted at all the authorised banks notified by Government of India. (2) The deposits shall be made in multiples of rupees one hundred. (3) The deposit under sub-section (1) of section 199F by a declarant shall not be less than twenty-five per cent. 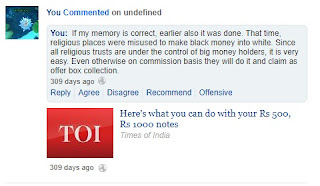 of the undisclosed income to be declared under sub-section (1) of section 199C of the Act. (4) The entire deposit to be made under sub-section (1) of section 199F under this Scheme shall be made, in a single payment, before filing declaration under sub-section (1) of section 199C. (5) The deposit shall be made in the form of cash or draft or cheque or by electronic transfer and shall be drawn in favour of the authorised bank accepting such deposit. So after the bill is passed everything will be white. What is outside India is already WHITE. Tradition associated with Onam Festival is in fact the remembrance of a bygone era ruled by the legendary King Mahabali (also known as Maveli in Malayalam language). It is believed that he ruled the part of earth now known as southern part of India, particularly Kerala, nicknamed as God’s own country. He was a kind, righteous, secular and moral king. In his kingdom, all were treated equally not like the present legal (de jure) equality but factual (de facto) equality. His country was prosperous and wealth was equally distributed and not accumulated by handful persons. Therefore, there was no corruption, theft, etc. in those days. Jealous of his popularity, his enemies dethroned him by deceit taking advantage of his generosity and charity nature. Thus the era of corruption and all kinds of vices started then onward. When he was dethroned by his enemies and sent him to underground (Pathal), he begged with them for visiting his People at least once in a year. He was so attached to his people. His request was allowed. Onam is in memory of that annual visit. Hence it is treated as a secular Kerala State festival and celebrated by all people of Kerala irrespective caste, creed or religion. To my knowledge, it is also celebrated in other parts of India by different communities on different names. India Government also declared one day as Vigilance day annually as a way of making aware of the people the evils of corruption. On that day anti-corruption Oath is taken by Government servants. But in most of the cases it is a mockery – a corrupt higher officer administering the oath to his corrupt subordinates pledging that they would not indulge in any corrupt practices. So this Vigilance Day is only a farce ceremony without yielding any result. As part of my public awareness mission regarding the rotten state of Indian Public administrative system, I had made available to the following, complimentary copies for their own information and also to the benefit of the public who could not buy the book. In this case, the charges against the Appellant, Chief Judicial Magistrate (CJM) of a District in Gujarat, was involved in rendering of decisions motivated by corrupt practices or by oblique motives. The two criminal cases which were tried by the Appellant CJM involved offences under Section 135 of the Customs Act, 1962 related to the smuggling of 275 silver slabs worth ₹.5,86,50,620/-. The offence invited a punishment of imprisonment for a term which may be extend up to seven years and with fine. But in the absence of any special and adequate reasons, such imprisonment should not be less than three years. Disciplinary action was initiated against the CJM. The explanation of the Appellant was that he was recently promoted to the cadre of CJM and was not aware of the provisions of Section 135. This explanation was not accepted by the Disciplinary Committee and also by the Full Court of the HIGH COURT OF GUJARAT (Respondents). They were of the opinion that as a judicial officer who was in service for over fourteen years, the Appellant could not have been unmindful of and was duty bound to have read the governing provisions of the law under which the offence was sought to be established. The Appellant awarded sentences ranging from three months to five years of imprisonment to different accused. No reasons appear from the record of the judgment, for awarding less than the minimum sentence prescribed. They opined that it was inconceivable that a judicial officer would do so in two successive trials without apprising himself of the law or the punishment provided by the legislature. In the appeal filed by the CJM, the Supreme Court after duly examining the judgments rendered by the Appellant CJM and merit in the finding of the High Court, it was held that the Appellant paid no heed whatsoever to the provisions of Section 135 under which the sentence of imprisonment shall not be less than three years, in the absence of special and adequate reasons to the contrary to be recorded in the judgment of the Court. Most significant is the fact that the Appellant imposed a sentence in the case of each accused in such a manner that after the order was passed no accused would remain in jail any longer. Two of the accused were handed down sentences of five months and three months in such a manner that after taking account of the set-off of the period during which they had remained as under-trial prisoners, they would be released from jail. The Appellant had absolutely no convincing explanation for this course of conduct. നിയമസഭകളിൽ സി എ ജി സമർപ്പിക്കുന്ന റിപ്പോർട്ട് വിശ്വസനീയമോ അതോ കെട്ടുകഥകളോ? ഇന്ത്യൻ പാർലമെന്റിലും സംസ്ഥാന നിയമ സഭകളിലും സി എ ജി സമർപ്പിക്കുന്ന ഓഡിറ്റ് റിപ്പോർട് വിശ്വസനീയമാണോ? അതോ അത് വെറും കെട്ടുകഥകളോ? കെട്ടുകഥകളാണെന്നു തെളിയിക്കുന്ന എന്റെ ആത്മകഥ (ഇംഗ്ലീഷ്)വായിക്കുക. സർക്കാരിന്റെ യഥാർത്ഥ അഴിമതികൾ മുടിവെച്, അതിനു പകരം കെട്ടുകഥകൾ ഉണ്ടാക്കി ഓഡിറ്റ് റിപ്പോർട് എന്ന പേരിൽ പുസ്തകം അടിച്ചു നിയമ സഭകളിൽ സമർപ്പിക്കുകയും അതുവഴി പൊതുജനങ്ങളെ വിഡ്ഢികളാക്കുകയും ചെയ്യുന്ന തട്ടിപ്പിനെതിരെ 30 വര്ഷത്തിലേറെക്കാലം സി എ ജി ഓഫീസിൽ പോരാടിയതിന്ടെ യഥാർത്ഥ ജീവിത കഥ. കൽക്കരിപ്പാടം/2 ജി മുതലായ അഴിമതി റിപോർട്ടുകൾ പുറത്തുവരാൻ എന്തുകൊണ്ട് 20 വര്ഷത്തിലേറെക്കാലം താമസമുണ്ടായി? ഇത്രയും കാലം സി എ ജി എന്ത് ചെയ്യുകയായിരുന്നു? कैसे सी ए जी झूठी रिपोर्ट संसद में पेश किया जाता है? 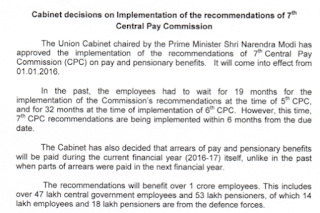 In the case of 6th Pay Commission, Report was submitted to the Government on 24/03/2008. 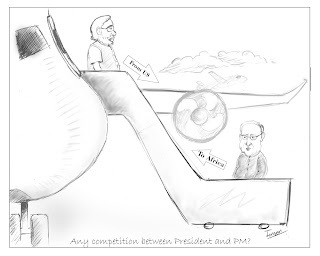 Government decision was published on 29/08/2008. Time taken was 5 months and 5 days. 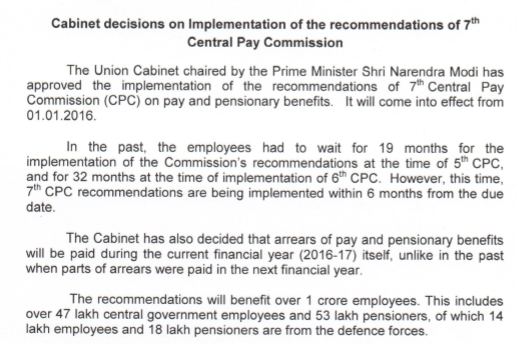 In the case of 7th Pay Commission report, it was submitted on 19/11/2015. Government decision was taken on 29/6/2016. Time taken was 7 months and 10 days. Yet credit goes to the present government for taking early decision. Actually it took 2 months and 5 days more than the previous government to decide on the issue, that too a totally simple form of CPC report compared to the earlier reports. Therefore, it is my request to remove the false self-glorifying statement Gazette Notified in the guise of a cabinet decision. 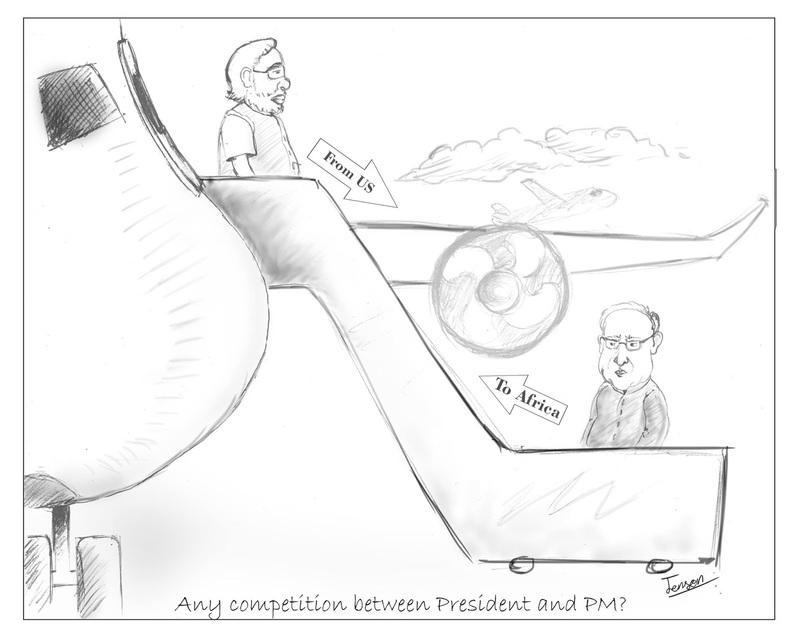 Any competition between President and PM?